Hi, it's Tracey back to share a masculine card with you today. It's so easy to create feminine cards with flowers, lace, and flourishes for the ladies in my life, but coming up with more masculine ideas can be a challenge. The Leaky Shed Studio Watch Parts and Barbed Wire were such perfect accents to go grungy and masculine on this guy card. 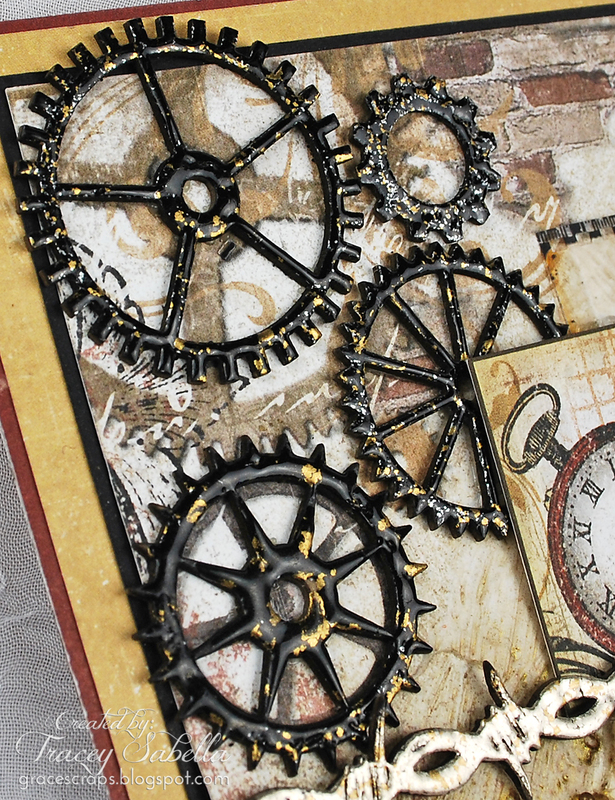 The Leaky Shed Studio Watch Parts are one of my favorite sets to work with. Here they fit the corner of my card so perfectly. 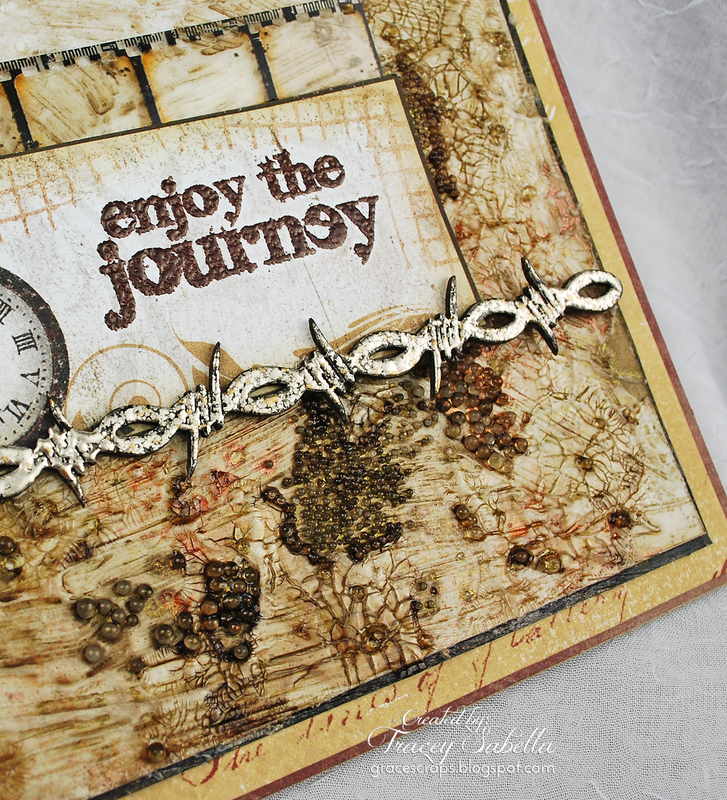 Getting a grungy effect is so easy using Fran-tage embossing enamel in Aged Black. 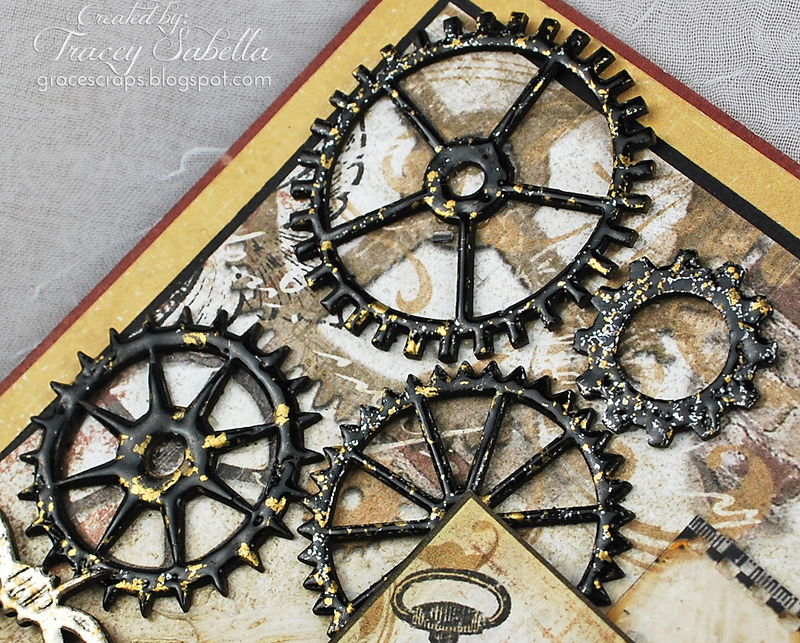 I simply pressed the pieces into my embossing pad, then sprinkled with the embossing powder and heat set. Another view of the gears. 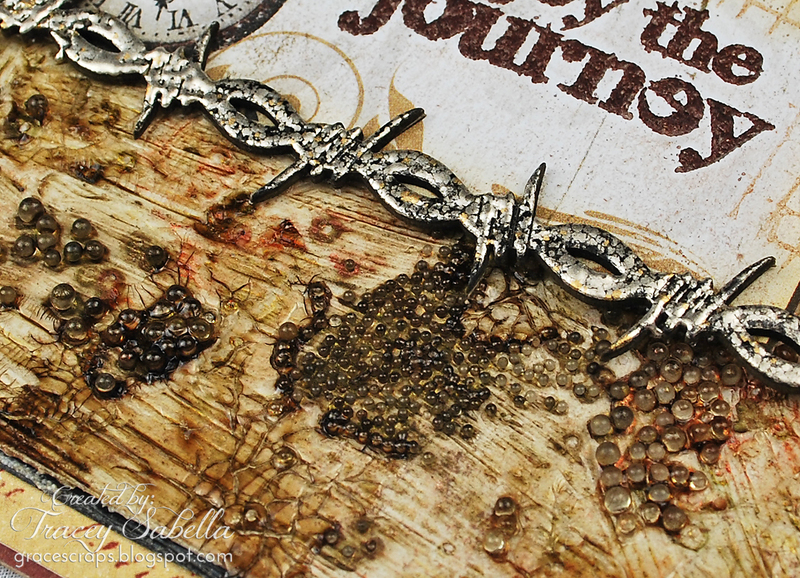 This Leaky Shed Barbed Wire Border is so fun to work with. To fit the card, I simply trimmed one end along the looped edge. This time I used the Aged Silver embossing enamel. Another close-up of the barbed wire. You can also see my mixed media background. Stop by my blog tomorrow where I will be sharing my background details. My tip of the day is to be creative with how you use your chipboard. Don't be afraid to cut it up or to use only part of a set. You can use the leftovers on another project!! and create a card for that special guy in your life. This looks wonderful Tracey, will pop over to your blog tomorrow! Wow wow wow wow!! This is gorgeous!! LOVING the colors and those gears!!! A fantastic masculine card. I really love the barbed wire and the effect you have used. I want some of those gears. You did an AWESOME job. love it!